Tone Faugli is the CEO of TechBridge Invest. Tone is an experienced leader and mentor from both private and the aid sector. Before joining TechBridge Invest, Tone Faugli worked ten years for Red Cross, holding positions as Product Manager, Head of Fundraising and lastly Team leader for Organizational Development focusing on financial management, resource mobilisation and project management. The experience also spans across running own business, communication and strategy development, and from various positions in shipping, telecom and more. She has successfully developed marketing campaigns, implemented strategies and launched new products to the market, and not the least built strong teams. Her passion is very much with market analysis, strategy development and execution, HR and leadership, as well as hiking, socializing and travelling. Øyvind Rideng has a long track record in growing profitable companies. He is now involved in eight companies, mainly in the software technology sector. Øyvind Rideng is an experienced CEO, Chair of Board and Board member. His expertise areas are investments, leadership and software development. Rideng has successfully built, grown and sold several companies with a considerable profit. Among the companies in his track record is Systems in Motion which was founded in 1994 and was developed into one of the world's leading companies in advanced 3D visualization. The company was acquired by Kongsberg Gruppen in 2008. This has both provided valuable experience and capital for new initiatives. Mr Rideng is Chair of the Board for TechBridge Invest. Rideng is an energetic, forward leaning person getting things off the drawing board and into action, and he is passionate about innovative ideas and doing what other people says is impossible. Frøydis Dybdahl Archer is our Business Development Manager for East Africa operations. She has 19 years working experience from Africa, including Kenya, Uganda and Ivory Coast, working both in development aid and private sector. In Kenya she established, run and exited successfully her own business. She has extensive project management experience and holds a Masters degree in Development Studies. She translates this experience and knowledge into practical solutions for Norwegian investors and partners. Her passion is travelling, keeping fit and spending quality time with family and friends. Maryanne Akoth Owino is the Manager of the Incubation Hub, TechBridge Hub in Mombasa, Kenya. She is passionate about working with the youth and is all about enterprise for growth in Africa. Before joining TechBridge, she was at the University of Nairobi's Computing for Development Lab, where she was instrumental in driving the agenda for the innovation ecosystem with partners in Academia, Government, Corporate, Foreign Embassies and Start-ups. Ms. Owino holds a Master in Entrepreneurship and Innovation Management from KTH Royal Institute of Technology (Stockholm, Sweden). She has over seven years of experience in ICT working on projects in over 10 different countries in Sub-Saharan Africa, and stints at R&D centres in Sweden and Finland. Maryanne is well travelled, enjoys a good laugh, and is intrigued by smarts. Milton Onyiro is the Financial Modeller and Controller for TechBridge Invest Africa and our subsidy, SUNami Solar Kenya Ltd. Mr. Onyiro holds a Bachelor’s Degree in Accounting and a Master’s Degree in International Business from The University of Dundee in The U.K. and Daystar University in Nairobi, Kenya. He has extensive experience in managing multiple organisations as Head of Finance in Nairobi, Kenya. 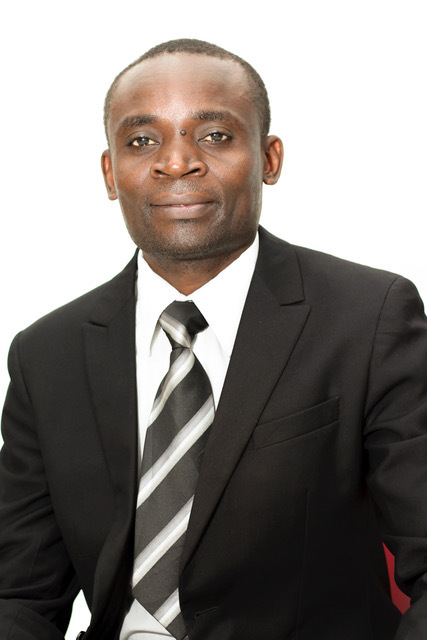 Prior to joining TechBridge Invest Africa, he managed financial teams at Margin Group Companies as Group Financial Analyst, comprising of Sichangi Partners, Sinoko, EBS, Margin Professional Services, Smelting Capital, and Rinda, specialising in law, financial services, real estate, energy and hospitality. He also has a background as Head of Finance and Administration at Almon Investment, and extensive experience as auditor for The UN OIOS (Kenya), Royal Mail (The U.K.) and TESCO (The U.K.). In addition, Mr. Onyiro has consulted and represented international companies in Kenya, such as Crowngate International Dubai, St. Lawrence Management Mauritius, and introduced Fosera Home System and PICO in Kenya.